Mayor Rahm Emanuel and CTA President Dorval R. Carter, Jr announced the start of a major project to renovate the historic Quincy Loop station and make the 120-year-old station fully wheelchair accessible, while preserving its renowned historic appearance. Among the improvements, the Quincy station will receive two new elevators located on the inbound and outbound platforms to make the station accessible to customers with disabilities. This upgrade will increase the number of Loop stations that are fully accessible to customers. The accessibility improvements are another step in CTA’s push toward 100 percent accessibility across CTA, a goal set by President Carter’s All Stations Accessibility Program. The $1.2 million project is the largest renovation in nearly 30 years for Quincy, which was built in 1897 and is one of CTA’s oldest rail stations. 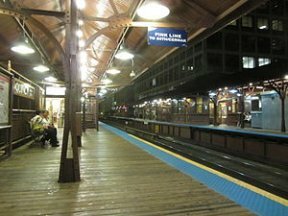 Last renovated in 1988, Quincy station serves more than 2.2 million riders annually via the Brown, Orange, Pink and Purple lines and is a major transfer point for 10 CTA bus routes, Union Station and the LaSalle Street Metra Station. The project is expected to be completed by the end of the year. 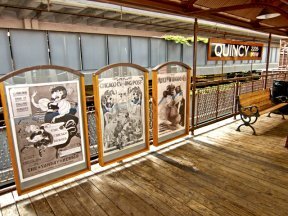 For more information about Quincy station and this renovation project, please visit: http://www.transitchicago.com/quincy/. © 8204 Chicago Hispanic Newspaper, Lawndale News, Hispanic Bilingual Newspapers, Su Noticiero Bilingue. All rights reserved. XHTML / CSS Valid.